Here are a couple of small projects I worked on recently. 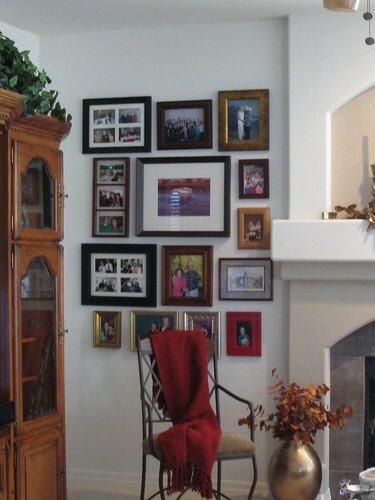 My mom and I arranged a gallery wall at her house over the weekend using frames she already had scattered around the house. The first picture is attempt #1 - too crowded and too square. Picture #2 is our fix. 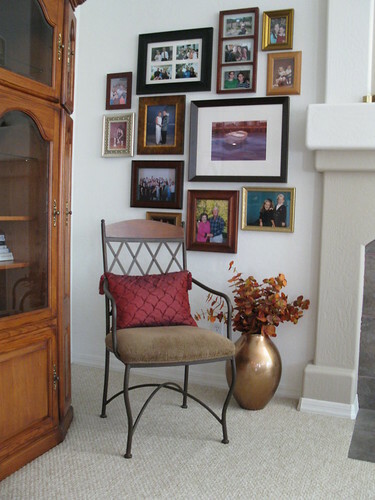 It just shows that arranging frames is not always easy, so don't be afraid to start over to get the look you want. 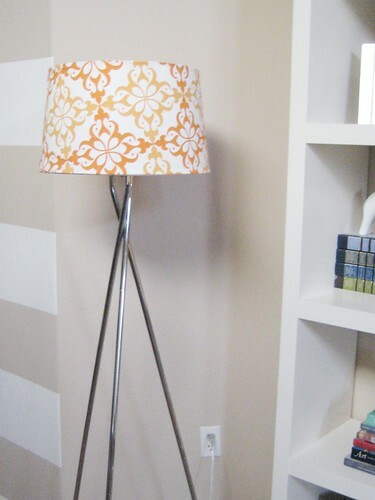 Here is the before and after of a lamp I decided to makeover. Still thinking about adding some ribbon trim. The fabric is actually from a tablecloth that I got on clearance at Home Goods. Definitely like the way frames look like in #2! 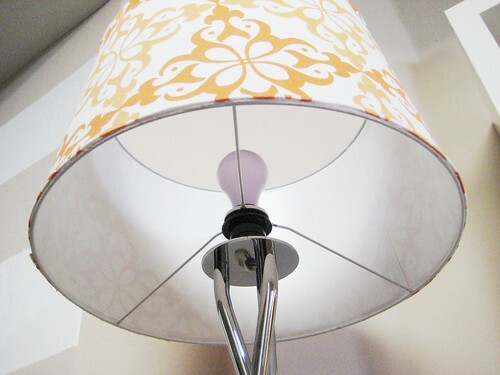 Great job :) And great job with the lamp shade, i like it. Is that fabric or paper or what? i love a gathering of pictures. really like the way you changed it up in the second pic. Yes the second grouping looks much better and I love the lamp. Please tell me you have discovered the joy that is catalogliving.tumblr.com - it is so up your alley. 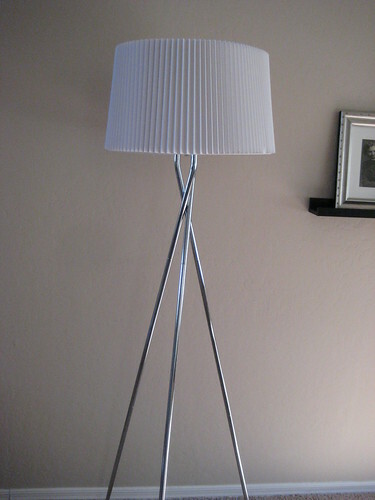 That lamp is soooo amazing!! I love it.